How do I buy a Classic Rock Coffee Co. Franchise? Live like a rock star-own a Classic Rock Coffee Shop franchise in this exciting, multi-million dollar industry. Step through the doors and you’ll know its unlike any other coffee shop you’ve ever seen, tasted, or heard. If you are considering opening a business, you need to be honest with yourself. Would you rather wake up every day making sandwiches or pulling a yogurt lever, or would you rather be with cool people, listening to amazing music like a rock star on your very own stage making money? Open Classic Rock Coffee Co. in any of these available states: AK, AL, AR, AZ, CA, CO, CT, DC, DE, FL, GA, IA, ID, IL, IN, KS, KY, LA, MA, MD, ME, MI, MN, MO, MS, MT, NC, ND, NE, NH, NJ, NM, NV, NY, OH, OK, OR, PA, RI, SC, SD, TN, TX, UT, VA, VT, WA, WI, WV, WY. 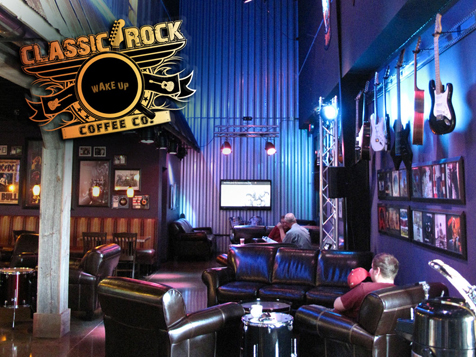 Classic Rock Coffee is known as the perfect blend of caffeine, classic rock music and cool. It provides its own customized brands of coffee, such as Atomic Punk Espresso, Back in Black Bold, After Midnight and Breakfast in America Morning Brew. It makes high end protein shakes that are supplied from Shake This, a sister company that shares the same owner. Step through the doors and you’ll know its unlike any other coffee shop you’ve ever seen, tasted, or heard. An alternative to the typical laid back coffee shops, it offers a rock-n-roll infused, specialty coffee, java joint. Classic rock music plays through an awesome sound system. Espresso based drinks are mixed right in front of you and guitars, albums and rock memorabilia line the walls. You can get your drink to go, or sit down, relax and get “Comfortably Numb" in the leather chairs. The concept is truly innovative and fun. Not only do customers drive across town to visit Class Rock Coffee shops, but potential employees seek employment here, as they recognize the methods, standards and procedures are top in the industry. 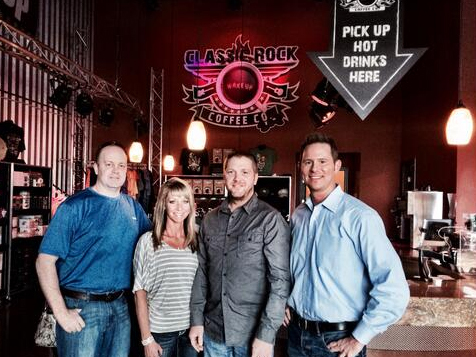 The Classic Rock Coffee Company was awarded the 2013 Coffee House of the Year by 417 Magazine. Now there are exciting specialty coffee franchise opportunities in the United States and internationally that stand out from every coffee house you’ve ever seen. Every franchise opportunity isn't a fit for everyone, and that's ok. Here are a few guidelines to help you decide about this one. Completely marketing of our trademarked brands. You don't need a graphic designer … you have one sitting in our offices just for you. TV and Radio commercials customized for your location. And we update them regularly. We'll even help you negotiate the rates on TV, Radio, Sponsorships, Billboards, etc. Coffee and Protein for your store BELOW wholesale. How can we do that? Because we own the product and want franchisee's to have large profit margins. 1 Week of Manager and Barista Training at our HQ and up to 2 weeks of full staff training at your location prior to Grand Opening. Operations and Procedure Manuals and Full Video Training Library. IPAD POS systems that allows us to conduct regular cost of goods sold reviews with you to ensure the highest profitability. Digital Menu boards (the same ones used in Las Vegas Resorts) with full video capability. Access to our live streaming radio station that provides real DJ's, Classic Rock Music, and inserted promotions for your store. A chance to be the coolest kid in town again. 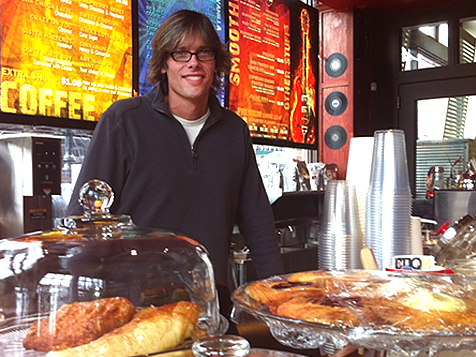 Contact us today to find out more about starting your own Classic Rock Coffee shop. Classic Rock Coffee Co. is not currently active in our directory, but here are some other recommended selections for you to explore.